EXCLUSIVE: New details about the emails on Hillary Clinton's personal server that contained classified markings call into question her claim to the FBI that she didn't know what the markings meant -- and even believed they represented an alphabetical listing of paragraphs. A government source told Fox News that virtually every paragraph in one mail contained so-called portion markings used exclusively for classification purposes. These classified codes are found on the left-hand side and reflect the classification of the intelligence contained in each paragraph. The Clinton email has one paragraph marked "C" for "confidential," which is the lowest level of classification. And the source said "multiple paragraphs (on the same email) are marked, SBU," which means "sensitive but unclassified." Both codes are there so the reader knows what is classified intelligence. "It's not possible, not even plausible, it's an alphabetical listing. The explanation makes no sense," the government source said, referring to Clinton's statement to the FBI in her July 2 interview. In FBI investigation notes [released Friday], agents wrote that Clinton, when asked what the “C” marking meant, “stated she did not know and could only speculate it was referencing paragraphs marked in alphabetical order." But the source said the appearance of other classified codes on the email further undercut that claim. A second government source who has also reviewed the FBI file said none of the handful of emails with classified markings contain "A, B or other letters" to support Clinton’s “alphabetical” answer, adding the "A, B, C..SBU does not fly." 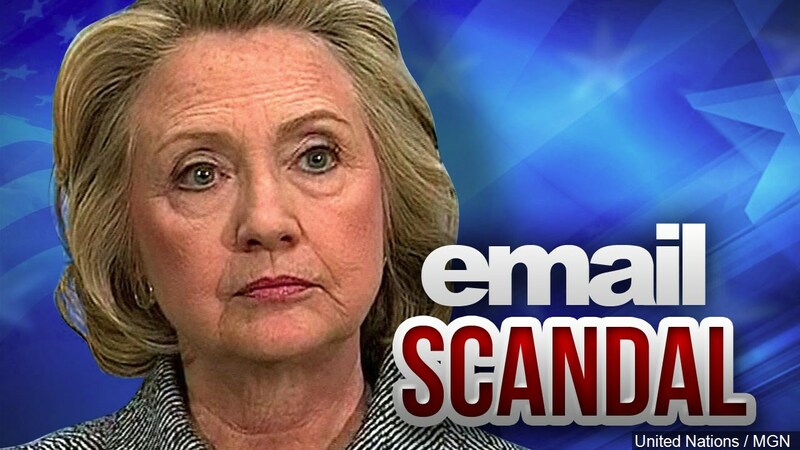 Fox News first reported in June that at least one of the Clinton emails was marked classified, conflicting with her public statements. In an interview with Fox's Sean Hannity, the head of Wikileaks Julian Assange also challenged Clinton's statement to the FBI. "Hillary Clinton says she can't remember what a ‘C’ in brackets stands for. Everyone in positions of government and in Wikileaks knows it stands for classified, ‘confidential,’” Assange said. He said Wikileaks has already released thousands of cables showing Clinton’s signature with (C) next to it. Clinton has said in the past that many of the cables carry an electronic signature and that she did not personally write or review all of them. The FBI file also reveals that from the beginning of Hillary Clinton's term in 2009 as secretary of state, the department installed secure rooms, known as "SCIFs" for her official use at both of her residences in Washington, D.C., and in Chappaqua, N.Y. These Sensitive Compartmented Information Facilities contain secure communications equipment authorized to be used to conduct official government business including the reading of sensitive and classified materials. Instead, Clinton chose to use a variety of 13 mobile devices like Blackberrys as well as iPads for checking emails sent to her clintonemail.com address. The FBI said none of the mobile devices could be accounted for by Clinton's attorneys. Howard Krongard, former State Department inspector general, told Fox News in email that, "If Abedin, Cooper and (Redacted) are correct, I do not know how you can have personally-owned non-approved desktop computers in a SCIF. That would be like inviting the outside world into your SCIF." In addition, Abedin told the bureau "the SCIF door at the Whiteaven residence (DC) was not always locked." nor the SCIF in Chappaqa always "secured." Cooper, who was in charge of the upgraded server installation in Chappaqua and Whitehaven, was identified as the staffer tasked to destroy Clinton's Blackberrys with a hammer. Chief of Staff Cheryl Mills also requested an Internet-connected, stand-alone computer that she could access from her desk at the State Department. No such computer was ever set up. But what was inside her home SCIFs is under new scrutiny. The FBI director said in July, three days after agents interviewed Clinton, the evidence showed potential violations of criminal statutes, but he did not recommend pursuing charges. "In looking back at our investigations into mishandling or removal of classified information, we cannot find a case that would support bringing criminal charges on these facts," he said. Pamela K. Browne is Senior Executive Producer at the FOX News Channel (FNC) and is Director of Long-Form Series and Specials. Her journalism has been recognized with several awards. Browne first joined FOX in 1997 to launch the news magazine “Fox Files” and later, “War Stories.